The project has been in the air for more than a year but it's now official: Yonsei-ro, the street connecting Yonsei University with Sinchon Station, will be the first one in Seoul to ban private cars. Only bicycles and small public buses will be allowed (not to mention of course emergency vehicles). Taxis will only be allowed between midnight and 4 A.M. Two time slots are opened for business purposes like deliveries (10-11 AM, 3-4 PM), but some adaptations are already considered, and that could turn quickly messy if no clear rules are applied. In any case, the speed limit is reduced to 30 km/h. Some roadwork is planned, in particular to alleviate the usual bottlenecks along Seongsan-ro (for instance, you can tell a V.I.P. has died when there's a huge queue in front of Severance Hospital). 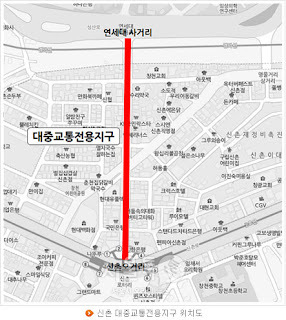 And at the southern end of Yonsei-ro, the traffic coming from the Southeast (Baekbeom-ro) will now be able to turn directly to the left towards Seogang Bridge (Seogang-ro) at Sinchon Rotary. Of course, congestions shall diminish even more spectacularly thanks to the newly resurrected Seobu Line (see "Seoul Light Rapid Transit Back On Tracks" and a focus I was supposed to finish Tuesday on new railway projects - coming up soon!). 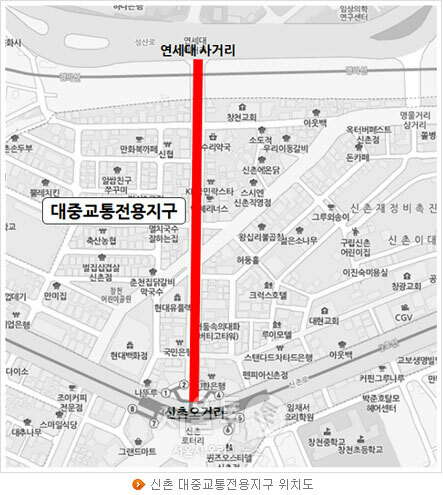 Reminder: the future line between Eunpyeong-gu and Gwanak-gu will pass by Sinchon Station and create a new station right in front of the university. So good news for pedestrians, cyclists, and more good news for a neighborhood that badly needed some a couple of years ago (see "Sinchon reloaded - Sinchon Global Zone"**). Again, the success of a neighborhood relies a lot on the relevance of its transportation system, and if this Yonsei-ro project will probably require some fine tuning, it marks, combined with the new subway line, a move in the right direction. 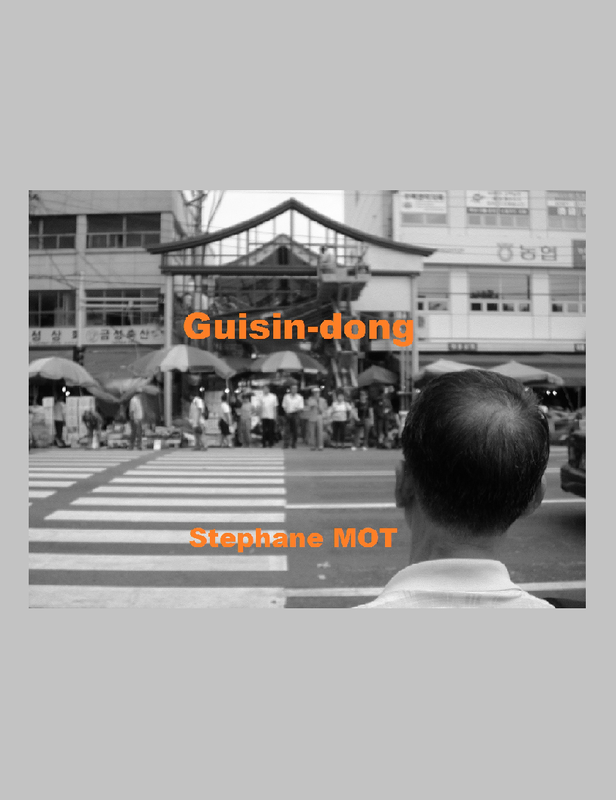 Now that Sinchon seems to be regaining momentum, one can envision a more balanced dialog with Hongdae area.